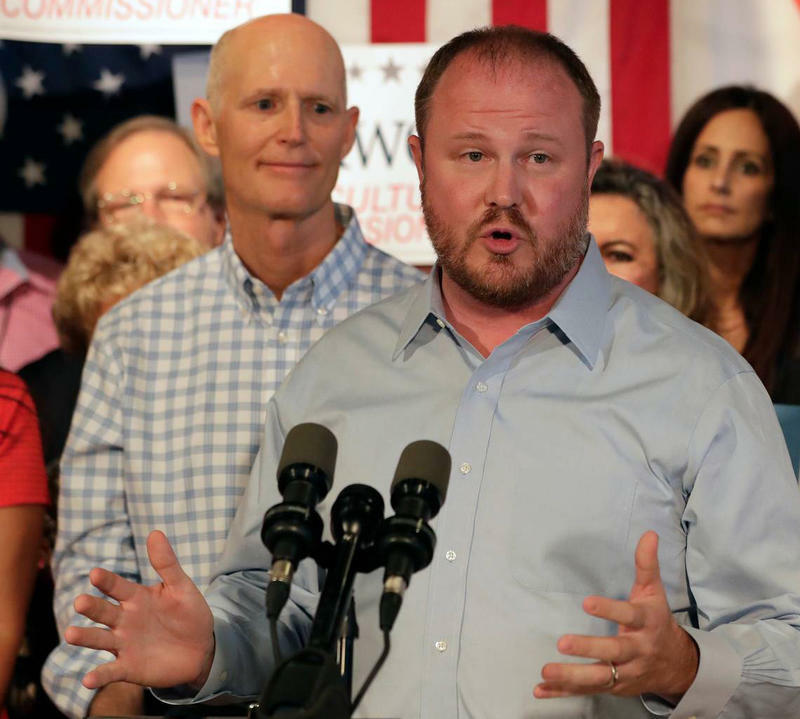 The election recount began at the Hillsborough County Supervisor of Elections office on Sunday morning. Hillsborough Supervisor of Elections Craig Latimer, left, gets ready to conduct tests of the voting tabulators before the election recount began Sunday. 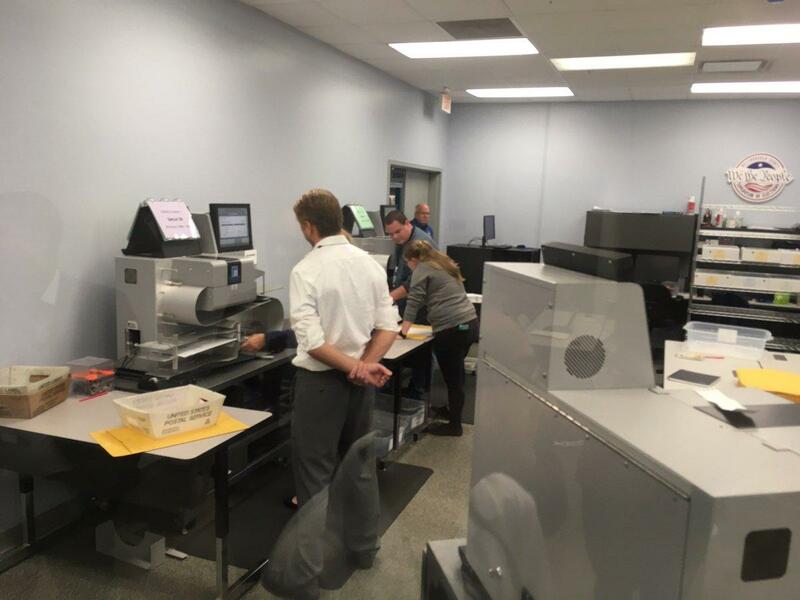 In Democratic-leaning Broward County, the scheduled start of the recount was delayed Sunday because of a problem with one of the tabulation machines. 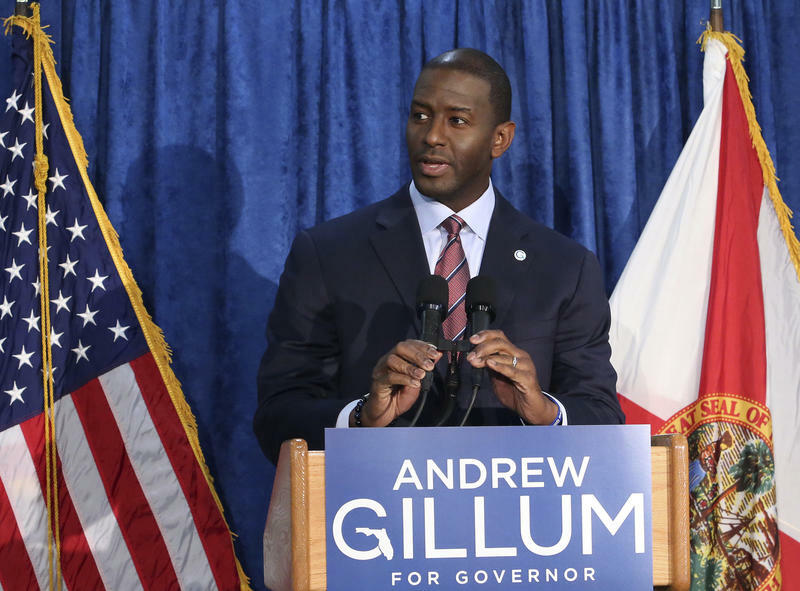 The Republican Party attacked Broward's supervisor of elections, Brenda Snipes, of "incompetence and gross mismanagement" following the delay, which was resolved within two hours. 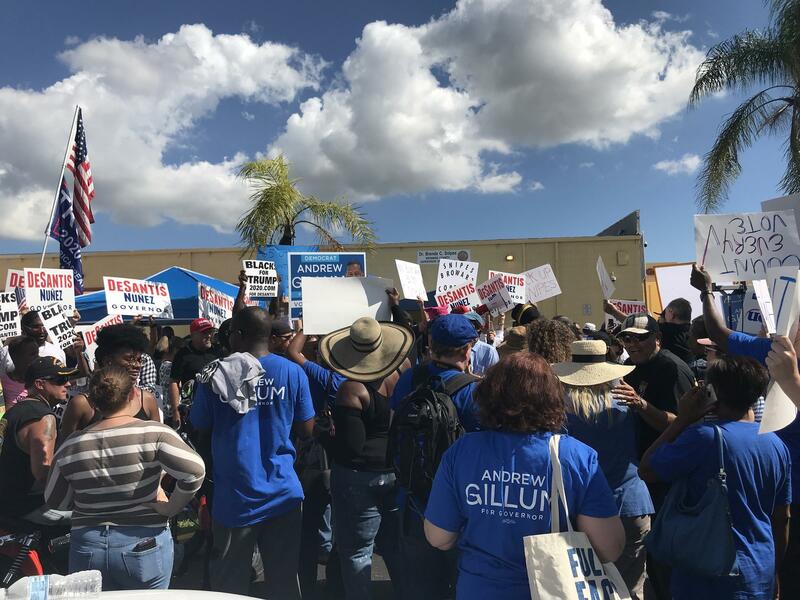 That didn't stop protests outside Snipes' office, where a crowd of mostly Republicans gathered Sunday, holding signs, listening to country music and occasionally chanting "lock her up," referring to Snipes. Registered independent Russell Liddick, a 38-year-old retail worker from Pompano Beach carried a sign reading, "I'm not here for Trump! I'm here for fair elections! Fire Snipes!" He said the office's problems "don't make me feel very much like my vote counted." 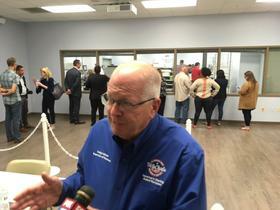 In Hillsborough County, a handful of sharp-suited lawyers and observers peered through the glasswindows at the Supervrvisor of Elections headquarters Sunday morning. 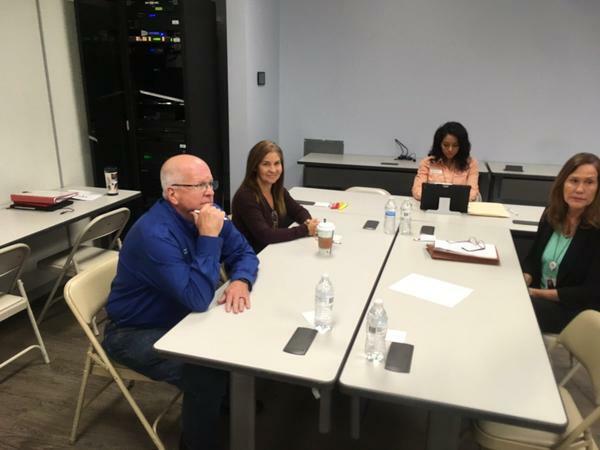 They were keeping tabs on the recount for three of the state's top elected offices, plus the state Senate seat where Democrat Janet Cruz holds a slight lead over incumbent Republican Dana Young. Elections supervisor Craig Latimer started the process of having machines tabulate 526,000 ballots for the recounts. But drawing on his experience, he doesn't expect the outcomes to differ. "I do not expect to see significant change," he said. " When you get to the overvotes, especially, you may have one where the person bubbled something in, and they crossed a line through it and put, no, don't want this one, want this one, and the machine sees that ans an overvote. But when the eyes look at it, then that's going to change. You know, so the voter intent was that is was obvious for that person. So it can go up, or down." Latimer does expect to be done by the Thursday deadline. "We're going to evaluate each day where we are, we may add longer shifs, we may add more machines, so we'll evaluate as we go," he said. " 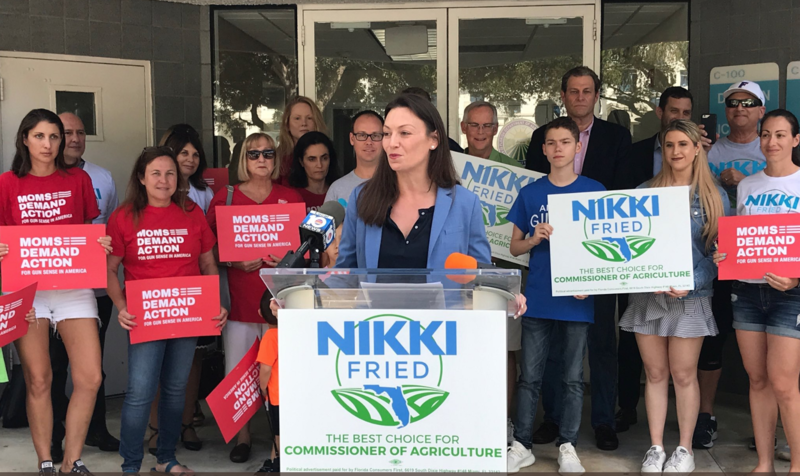 At the end of election day on Tuesday, it appeared that Democrat Nikki Fried had lost to Republican Matt Caldwell for the Florida Cabinet post of agriculture commissioner. Saturday, after late vote tallies in Broward and other counties showed she was actually ahead by 5,326 votes, Fried claimed victory and started working on a transition.